Specialty: Designed & manufactured 1980's video game arcade consoles and home systems, home computers and software, including the famous Atari 2600 VCS, and the Atari 400 & 800 line of home computers. Atari remains one of the most popular to vintage computer and video game collectors. Promotional memorabilia from Atari that showcases electronics technology used in their early line of video game systems and home computers during the 1980's are rare. 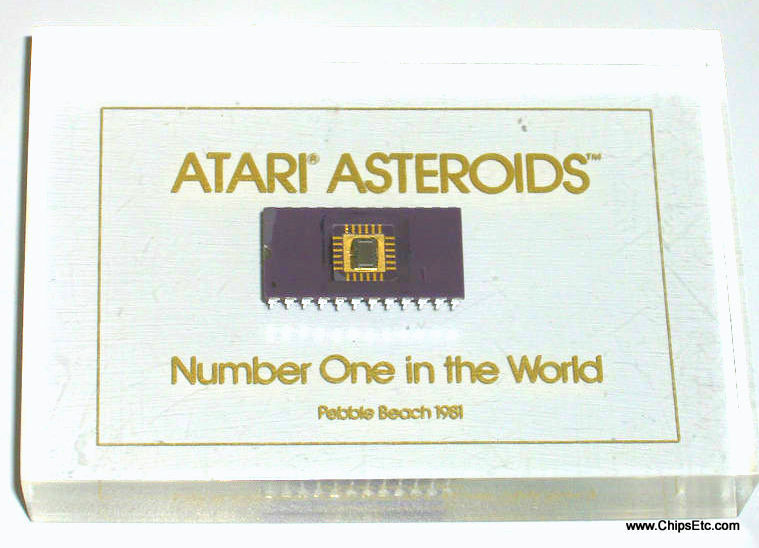 Lucite paperweight that contains a 24-pin DIP ROM chip from the worlds #1 selling Coin-Op game in 1981, Atari's "Asteroids". Asteroids was a hugely successful game title for Atari for both their Coin-Op arcade game units, as well as their 2600 VCS home video game system. 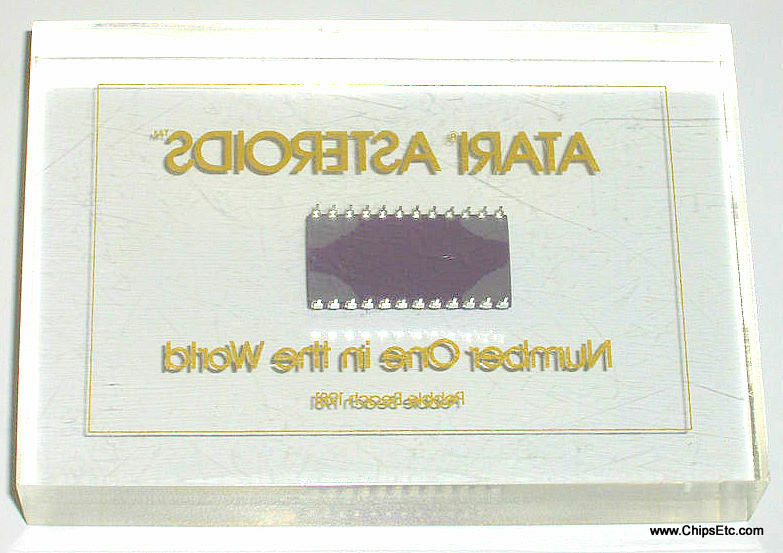 This Lucite paperweight was a presentation award from Atari given out at their 7th Annual distributor's conference in Pebble Beach CA., starting March 28th 1981. 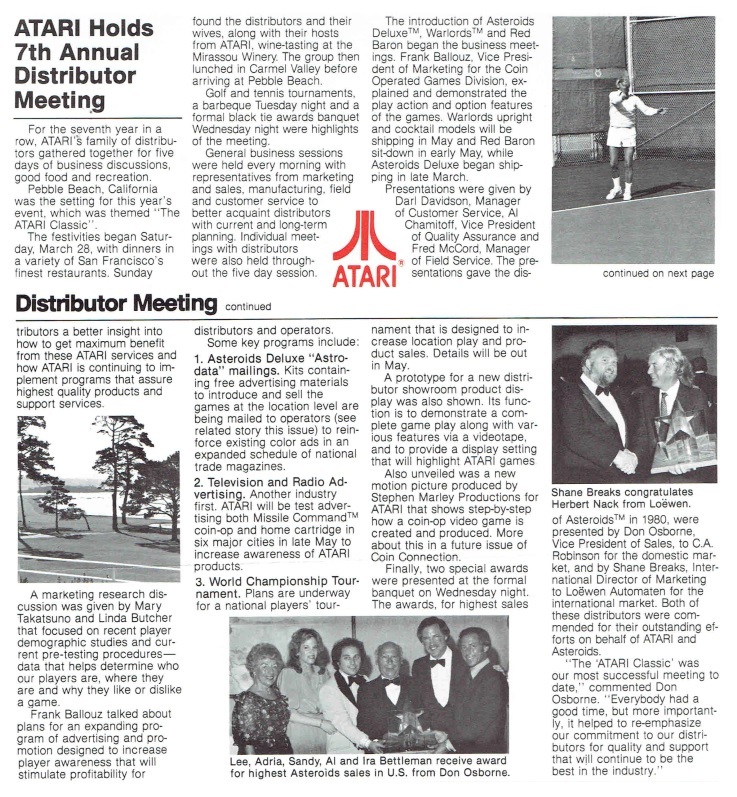 ​Representatives from Atari Coin-Op distributors in attendance for the 5-day "Atari Classic" conference enjoyed events including luncheons, wine tasting, golf & tennis tournaments, business sessions & black-tie award ceremonies. 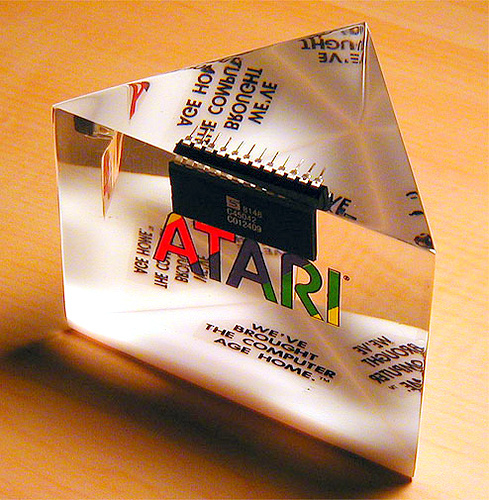 Lucite paperweight from Atari featuring a C012409 24-pin DIP ROM chip manufactured by Synertek Corp. at their Santa Cruz CA. manufacturing plant. Synertek (based in Santa Clara CA.) also produced chips for Apple computer for use in their Apple II line of 8-bit computers. This ROM chip would have been used to store game & educational programs in cartridge form for use in Atari's 400 & 800 line of 8-bit Home Computers. 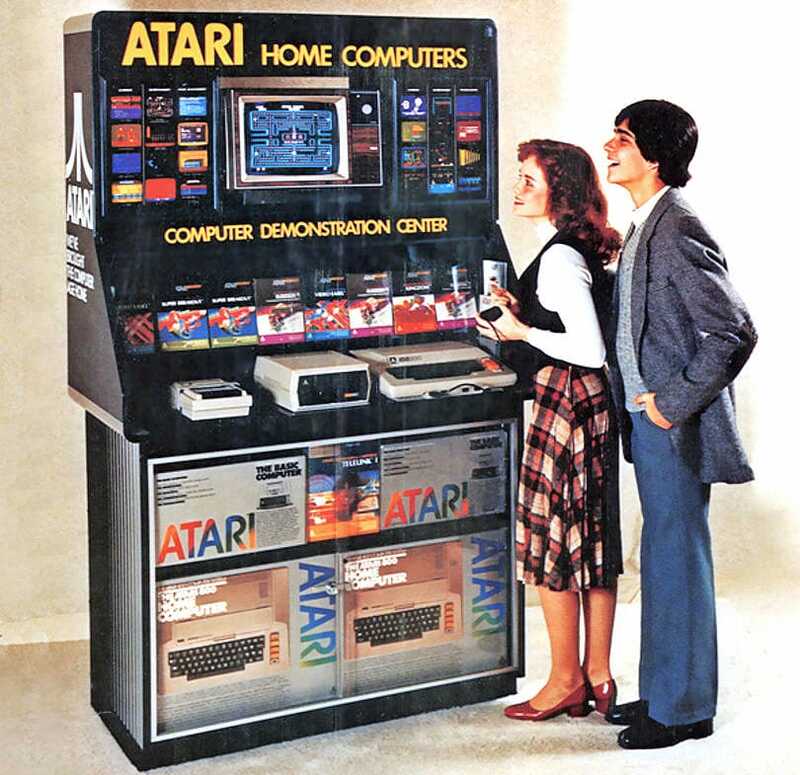 Reads "Atari - We've brought the Computer Age Home". 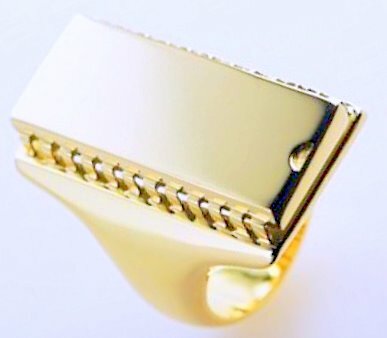 Limited edition 18K gold mens ring resembling the 24 pin DIP ROM chips used in many of the 1980's era ATARI 2600 game cartridges. Designed by Brooklyn-based artist Sakurako Shimizu.